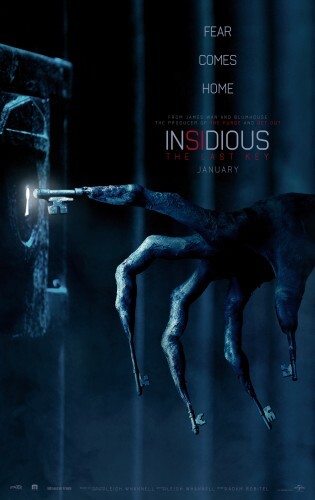 Universal Pictures has released a first trailer for Insidious: The Last Key, a prequel in the successful Blumhouse franchise. In theaters Jan. 5, the James Wan-produced film is helmed by Adam Robitel, director of the terrifying Taking of Deborah Logan, and sees the return of Lin Shaye as medium Elise Rainier. Set years before the events of the previous three Insidious films, The Last Key takes us to New Mexico where an evil entity is haunting Elise’s childhood home – providing us with flashbacks of a teenage Elise, played by Hana Hayes (”The Grinder”), and her encounters with a freakish key demon. Of course, nothing in any of the Insidious films is as genuinely nightmarish as Lin Shaye’s very own performance in 1996’s criminally underrated Farrelly brothers’ gem, Kingpin – playing an exploitative and libidinous old landlady (has Lin ever been young? ).